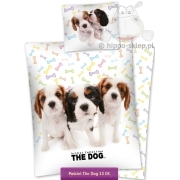 Bedding with dog, dogs, puppets, puppies, towels blankets and home textile accessories with the image of home pets. 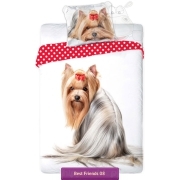 In the dogs collection you can find bedding and home textiles with the image of dogs of many popular breeds. 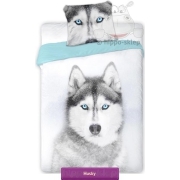 Bedding with Labrador, Husky, Basset, Beagle, Boxer, Border Collie, Bulldog, Golden Retriever, Spaniel, German Shepherd, Pug-dog and Yorkshire dog. 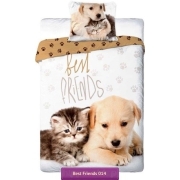 Cute and sweet bedding sets with puppies and sets of bedding with a dog. In addition to pedigreed dogs, you will also find dogs, mongrels and mixed breed puppies in this collection of home textiles. Noteworthy are The Dog Artlist collection bedding showing puppies of many exotic dogs once, towels and bedding Best friends presenting dogs and cats and both during play together, or extremely colorful collections of famous dog photographer Keith Kimberlin. 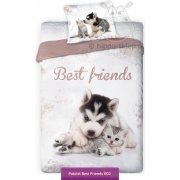 A collection of home textiles and bedding with dogs is a real treat for everyone who loves human best friend. 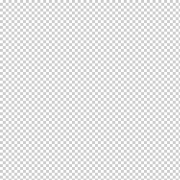 Little dogs are usually the favorite animals of girls. 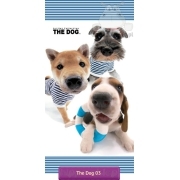 Home textile accessories witch dogs characters belong to their favorite gadgets. 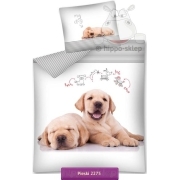 It’s also a great idea for children’s bedding where your favorite little dog will sleep and wake up with our baby. 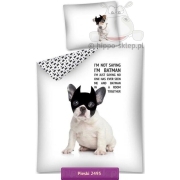 For younger girls we also recommend bedding with dogs well-known form movies and animated series for children. 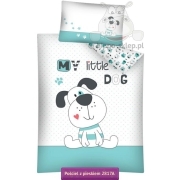 Bedding with dogs you can find in a of Secret life of pets collection, most popular collection last months Paw Patrol, talking dog Scooby Doo scooby_doo.html or small white beagle Snoopy. 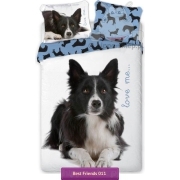 Bedding and accessories with a dog is one of the most popular collections of home textiles in our store.